Want to spread the cost of pet care across the year? Click, call or pop into a surgery and ask one of the team. Worried about the cost of care? Our NEW Healthcare Plan provides peace of mind for a monthly price you won’t mind. We all want to know that we are doing the very best for our pets. At The Vet, we believe it should be simple and affordable. For a small monthly fee, our Healthcare Plan covers all the preventative care your pet needs. This means regular vet health checks, vaccinations, and treatments to prevent fleas, worms and other parasites. PLUS some extras to save you even more. Give your pet the best preventative healthcare. Our Healthcare Plan is the absolute gold standard. Not only will it save you between £55 - £210 per year, it also provides total peace of mind that you’re giving your animal the care they need to stop them getting sick in the first place. We’ll also send you SMS reminders of what treatment is needed and when, so you don’t have to worry. So what’s included and how much is it? Please fill out the form below to see how much you could save! 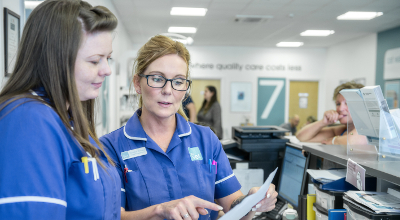 It’s easy – just ask one of the reception team in clinic and they can activate your plan there and then.